The relatively recent phenomenon of party conference social action projects have so far been limited to the dates of the conference. This year there will be a much bigger lead up for the Birmingham conference, with party activists already working hard in the Welsh House Farm area of the city. Last week there was a huge swing in a by-election held in the area of last year's social action project in Blackpool, so the benefits to both the ocmmunity and the party are clear. "The task is simple: to transform the area using a bottom up approach through working with the local community, local charities and local entrepeuners. But what singles this project out from all our other past projects is that this make over we are doing, is more than just the physical; painting fences and planting flowers etc! It's social changes as well and will go under the skin to find the roots of the problems and potentially find solutions. For example: one of the charities we are working with is "Positive Parenting." Over the last couple of weeks I have grown increasingly more excited about "I LOVE WHF" - it really is the definition of what I want the CF Social Action Network to be, and I am thrilled to have CF working so closely with the party on this." She needs several CF volunteers to help with a community sports day event on the 13th of July. There's also a big event planned on the 6th and 7th of September, and various ongoing projects. Contact ABB if you're interested in getting involved. I wrote in January about concerns that social action hadn't been developed in CF as much as it could have so I'm pleased to note the creation of the Conservative Future Social Action Network, which will bring together branch-level social action officers from right across the country. Not every branch has a Social Action Officer but I understand the role was incorporated into the CF constitution towards the end of the last term by Mark Clarke so hopefully this network will catalyse its use. Unlike last year it doesn't look like someone with experience of social action will be co-opted onto the exec to focus on that aspect but it's clearly still a priority in CF as it is in the Party at large. "By bringing all the social action officers together, we hope to be able to find the communities in need of Social Action and work with the party to help promote Conservative Future as a caring and compassionate organization. The Conservative Future Social Action Network will also aim to coordinate our efforts with the main party as a whole and help to spread awareness of the many social action events the Conservative Party are involved in right up and down the country." Your help is needed in compiling a list of all the social action bods (email AAB) and coming up with ideas for projects locally and nationally. Some good press work here by Hertfordshire CF. They want to get Gordon Brown in the Guinness Book of World Records as the "worst rogue trader in history". They based this on figures obtained by local MP Peter Lilley in this Parliamentary answer, showing that between 1999 and 2002 Brown sold 395 tons of British gold at a twenty year low, making just £2.3bn. The current market value of the gold is around £5.8 billion. As the Telegraph's Spy column noted last week, the discrepancy beats Jérôme Kerviel's mere £3.5bn and the famous Nick Leeson by some way. "The money that Gordon Brown recklessly gambled away would have paid for tens of thousands of teachers, police, doctors and nurses. We would like to thank Peter Lilley, MP for the tremendous work he has done in exposing this scandal and forcing the government to admit the size of the financial losses taken." Hamish Stewart has recently written about how he intends to put a greater emphasis on Community Action in Nottinghamshire. He was also kind enough to reference an article I wrote for CF Diary last year, entitled Conservatives in the Community. This is something that I cared about then and am even more passionate about now. Since my original article on this issue both Conservative Future and the Party in general have made a commitment to Community Action. This commitment was made to the public in the 2006 Party Conference in Bournemouth. This was done with great fanfare and we have managed to keep up with the momentum in this area that this conference provided. In that conference we made a commitment to the public that we would place Community Action at the centre of our activities as a party. Now that we have made this commitment we must be vigilant against the possibility that Community Action get sidelined in the run-up to the general election. The best way to prevent this is to move forward in promoting Community Action projects. This will prevent us from falling back. If I am elected I promise to make Community Action a key priority for Conservative Future and to build on the work done in this area over the past year. I will also include a Community Action heading in all of my monthly reports, so I can be scrutinized on the progress made in this area. Back in October 06 it was decided to choose the three co-opted NME positions in a professional manner. The roles of Media & Marketing, Marginal Seats and Social Action were chosen and detailed job descriptions written up. Applicants formally applied, went on to be interviewed by relevant people, and eventually a couple were selected. As it turned out, about as much effort went in to selecting people for these roles as went in to the roles afterwards, if not more! This was a very good approach though - will this year's NME and Chairman candidates continue it? If not, what do they propose? Social action is one of my hobby horses. In the run-up to the last elections Patrick Sullivan, Dominic Llewellyn and Mark Clarke all wrote for CF Diary about its importance. Hamish Stewart reinforces the point today. "We require someone to develop a plan for bringing this to life. This will encompass the development of a national strategy by Christmas, but more importantly working locally with CF branches to inspire and enable them to make Social Action happen in their area. It is vital that what we come up with is sustainable in that it develops long term relationships with small scale voluntary groups. We must also recognise that we must have a plan which recognises the fact that our members move around the country a great deal and so while the CF branch can commit to projects often the turnover of individuals is high. In addition, once the person is a member of the NME, we will require monthly attendance (virtual if necessary) at meetings. There is also a need to provide a general level of support to all CF activities, especially any campaigning activities. The person will also be allocated the task of building up one CF branch in a marginal seat in common with all NME members." Essential attributes included being "a true believer in the power of social action programmes to affect political change", and... "a doer not a talker". It's my understanding that nothing has happened at all in this respect. The co-optee has had a few chances to correct me on this over the months but hasn't replied. 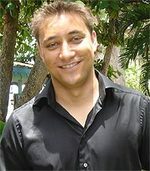 On the positive side, I believe Mark Clarke is working on including the branch-level role of Social Action Officer into the CF constitution. Also, there have of course been a few examples of social action at a branch level over the past year or so, which is ultimately where it needs to be happening. Perhaps they can be pointed out in the comments to show others what's going on? It'd be good to know where the NME and Chairman candidates stand on all this. For such a feel-good issue it's surprising that it isn't referred to in the main principles of the Forward Together, Rock4CF or Daryl Williams campaigns. I'm sure they all support the concept of it - who wouldn't - but what do they propose to catalyse its development as a core CF activity? The first CF Diary article dealing with the importance of community engagement; “Conservatives in the Community,” was submitted nearly two years ago by Patrick Sullivan. Since that time the concept of “social action” has grown enormously within the party and is widely touted as both a new front in campaigning as well as a force with which conservatives will affect society for the better. It goes without saying that conservatives who are active in their communities enrich them in the direct manner that leafleting and canvassing do not, and improve the standing of the party through their actions. I believe that the benefits of community activity go further even than those commonly recognised, and I hope to outline how encouraging social action can strengthen CF branches and enrich their individual members. A party branch is only as strong as its members are active, every branch chairmen’s’ biggest problem is to maintain member involvement, including social involvement but especially when it comes to campaigning. The reason that persuading people to campaign on behalf of the party is difficult is simply that traditional campaigning methods, while necessary, alienate a substantial portion of our members. CF must maximise its members’ involvement, and therefore should offer or enable a diverse range of activities to allow members to contribute to the party and society in a manner which they consider fulfilling. For many people like me, who became involved in politics because they wish to make the world a better place, social action such as volunteering attracts by providing rewarding results and a great variety of possible activities. The point is that social action need not replace traditional campaigning but should instead compliment it by involving those conservatives who are left cold by canvassing. Clare, who has been head of both Lancaster Uni and Croydon CF branches, describes the lessons she learnt about leadership and societal order from her recent experience on the reality TV show Castaway. c) To catch and/cultivate your own food resources and live off the land. As I read this, I felt an enormous amount of excitement grow within me. Who wouldn’t like the idea of jetting off to a distant sunny location to build a community from scratch based on their personal beliefs? I was aware that the others would have the same thoughts and aspirations within this remit but I do believe in what I stand for and was confident that I would be able to make them work. I realised the potential to finally test myself and those core beliefs of mine on a group of differently minded strangers. We are all guilty of moaning about the state of how our country is run and rant about how we could change it, now I was being given the chance to do just this. Clare, a well-known Conservative Future activist in London and Lancaster, was voted off Castaway the other day. Apparently she had to vote on who was the least beneficial to the group and, not knowing it was a draw, voted for herself. "I am a little bit apprehensive about what is going on in the outside world. I hope the Conservative party hasn’t black-listed me and I haven’t disappointed people too much with my ranting and raving. I hope my actions have made the Conservative party proud. Hopefully I have shown the party is changing and that we are young and trendy. Before I came out I was very much on the right of the party but my political values have been added to. I used to see things in black and white but now I see policy issues are very grey and debate is necessary. I think I have become a bit more left-wing." The BBC has stacks of videos and stories about Clare's time on the show here. - Joe Chicken, 33, single, an occupational therapist from Stoke Newington, north London. 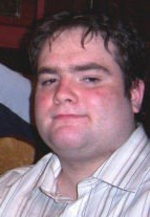 - Alister (Al) Cooling, 24, single, an unemployed writer from Seacroft, Leeds. - Clare Hilley, 22, from Purley, Surrey, who is chair of Conservative Future, London south. - Erica Hurst, 22, a lap dancer from Kearsley, near Bolton. - Alasdair Humberston, 19, a part-time farmer from Harringworth, Northamptonshire, who used to be in a Goldie Lookin' Chain tribute band. - Lucinda King, 27, an ex-convent girl from East Dulwich, south London. - Hassan Kobeissi, 24, a non-practising Muslim from Newmarket, Suffolk. - Wendie Mitchell, 42, a mum of four from Stoke Newington, north London. - Kenneth Rose, 65, who spent 22 years as a Colour Sergeant in the Royal Marines, from Maldon, Essex. - Jason Ross, 37, a recovering drug and alcohol addict from Dover, Kent. 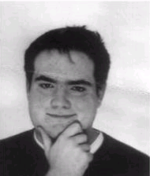 - Jonathan Shearer, 41, from Bonhill, Dunbartonshire is a walks and education officer for the RSPB (Royal Society for the Protection of Birds) who is cleaning toilets and hotel rooms to support his ornithology habit. - Francie Smee, 58, divorced, from Oxford. The former nursery nurse and mother of three grown-up daughters starts a new skill every September. - Gemma Zinyama, 22, from Buckhurst Hill, Essex, is a sales executive who enjoys spending her money on hair extensions, clothes, false nails and nightclubs. Clare is well known in Lancaster and London CF circles, I'm sure she'll be a good ambassador for the Conservative Party. 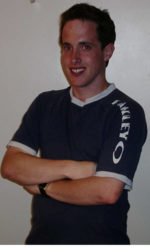 Paul has been co-opted onto the national exec to develop social action programmes. Social Action and CF Social Action for conservatives should not be just ‘good PR’ but its part and parcel of our political philosophy: we know that its not just the state that can intervene in our society and local communities if things go wrong, more often it is groups of individuals who make the most difference. Getting involved in Social Action Projects, like anything that involves CF, is hugely fun and everyone gets so much out of it. I know its really corny but the sense of achievement you get when you see local kids playing footy in a park you have just helped to clean up probably equals that feeling when you pass your driving test! By taking part in Social Action Projects we can help defeat the political apathy that is rife amongst young people in this country. Lets show people that those interested in politics aren’t ‘just in it for themselves,’ we do actually care about our communities and we are willing to go that extra mile to improve them. There are many different projects currently taking place across the country, or you could set up your own. Over in Wirral, for example, there is a plan to help renovate a community centre that was burned to the ground by yobs a fortnight ago; in Sheffield we are getting involved in conservation projects and recently hosted a Christmas party for underprivileged kids with our local councillors. I would like every single CF branch to at least give a project a go. Social Action is now a priority for CF, its up there with campaigning and socialising – so come on and give it a go! Email me at paulhayes31[AT]hotmail.com and I’ll help you to get something up and running. "A rebellious lot, teenagers: always looking for ways to challenge the mores of their parents' generation. When the Establishment comprised rich landowners, hanging judges and retired colonels, young people became beatniks. Today, the Establishment is a very different creature, made up of human rights lawyers, anti-racism campaigners, poverty activists, sluttish models and gimcrack contemporary artists. So, naturally, our young people reject it. 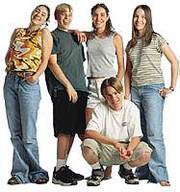 A survey of 1,000 teenagers suggests that we have bred a generation of fine, upstanding throwbacks. They want good jobs, believe in the family and disdain television celebrities. As always, of course, there are exceptions to the rule: those who slavishly chalk up Asbos in mimicry of the drunken antics of their elders. If only these particular tearaways could be persuaded to follow the herd." Newcastle-under-Lyme and Keele University Conservative Future have announced their plans for fundraising for this years Children in Need campaign. 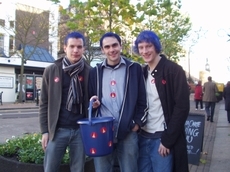 Last year the group’s executive committee and Cllr Simon Tagg dyed their hair blue to raise funds for the charity. The leg waxing has kindly been donated by “Moments of Beauty” in Newcastle, and will take place at Keele University Students Union in Sam's Bar at 2:30pm on Friday 17th November. NKCF have set up an online page for sponsorship, that gives money direct to the BBC charity, You can sponsor Owen’s leg waxing challenge and donate directly to Children in Need by visiting this website. If you are a UK taxpayer, 28% can be added to your donation by the taxman too! When I stood for election I promised that Social Action programmes would be a major part of CF's activities. CF already has a proud record of helping already in Social Action programmes. We were there helping in the Spring Forum in Manchester at the activities there to improve the community. Local CF branches are also getting involved. For example, Wirral West CF go out with Esther McVey a couple of times a year and clean up the Wirral beaches. Getting more involved in this area has broad support within CF. We will be making more announcements in the next few days on this. So I am personally delighted to announce that the first event organised by the incoming NME team is assisting with Tobias Ellwood's project to convert a local disused church to a useful community centre. This will help young people in the area, so it is absolutely right that CF are central to the efforts. We will be taking a big group down on the Monday afternoon to assist with all the activities. Going down en masse and mucking in as a group means we can all get to know each other and have fun as a one CF team. Transport has been arranged. Justine Greening MP and Tobias Ellwood MP, among others, will be there lending a hand at the same time. We have hundreds of CF delegates at conference. I know that many of you will want to come and show your support, make a difference to the community and have a laugh in the process. James Cutts (email) is the CF lead for this project and I would be grateful if you could contact him to let him know if you can attend or not and we will share all the details. We do need to keep track of numbers. Patrick Sullivan and Dominic Llewellyn have both written excellent pieces about the importance of Social Action or Community based programmes. I strongly agree. As a Chairman candidate, let me say share some practical examples of this sort of thing in action, and more importantly address what we should practically speaking do to make it happen. When I left University I took a step back from active party politics and instead immersed myself in voluntary and charity work. At that time I was living in Newcastle. I decided to set up a organisation which would go into local schools and teach communication skills. This would encompass interviewing, listening, debating and public speaking skills. I approached other people in my company for assistance in running and approached an inner city Newcastle school, Heaton Manor School, to run the programme. Our first meeting had only six people. But within a term we had forty people turning up after school for two hours a week. Over time, we took some pupils for mock interviews and on university visits. I knew we had had a real impact because of the many pupils who personally told me that they had chosen to go to university or stay on at A-levels as a direct result of the aspirational experiences that the course offered them. Dom is a student at Newcastle University and has worked for both the Party as well as a Conservative think-tank looking at social action. "there is such a thing as society, it’s just not the same thing as the state"
These are words that we could all agree with, but how do we go about proving this statement? A lot has been said of Conservative Future’s role as a social club and leafletting but many find these unfulfilling; surely CF has another role. Many young people have idealism and activism running through their veins as shown by campaigns such as Make Poverty History. 81% of young people would sign a petition for a cause they believe in, yet, only 37% of 18-24 year olds voted in last year’s General Election. Such young people are less interested in joining a political party and more interested in single issues. Yes, CF have 15,000 members but the reality is that only a small number are engaged enough in the current activities to play a really fulfilling role. We need to offer more opportunities for engagement that build upon people’s interests. Politics is about making life better for people. I joined the Conservative Party because I want a better Britain. A better Britain is a country with a neighbourly society, where people care for each other and faceless state intervention is rarely needed. This type of society by its very nature cannot be created by state action but only through empowering the voluntary sector. However, it is all very well talking about empowering the voluntary sector but we need to turn our words into action. If we do not we allow ourselves to be open to the criticism that our talk about the voluntary sector is just code for cutting public services. The only way we can show people that the voluntary sector has an increasingly important role to play in the 21st century, is by helping it make a difference in communities throughout Britain. One of the things that I am proudest of doing during my time at Nottingham University was an event called Returners Week. This was the first ever freshers week put on for returning students. I put it on under the banner of the Students’ Union charity organization Karnival. Our costs were only £50 and we made over £6,500 for charity.